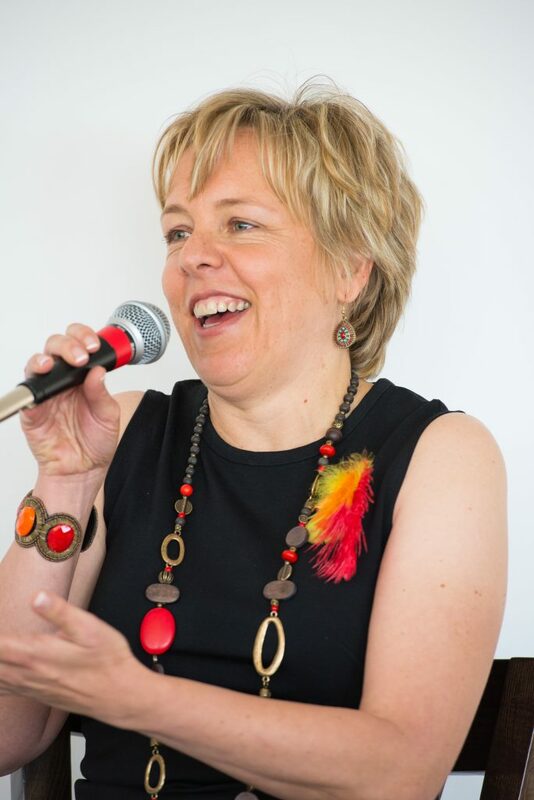 Joan Campbell is the author of Encounters: Life Changing Moments with Jesus and a contributing writer for Disciplines (The Upper Room) and Closer to God (SU). Fiction is Joan’s first love and her Poison Tree Path Chronicles is an intriguing, fantasy adventure with an underlying message of grace. Joan is a workshop facilitator for MAI, a ministry which trains and mentors Christian writers across the world. She lives in Johannesburg, South Africa. 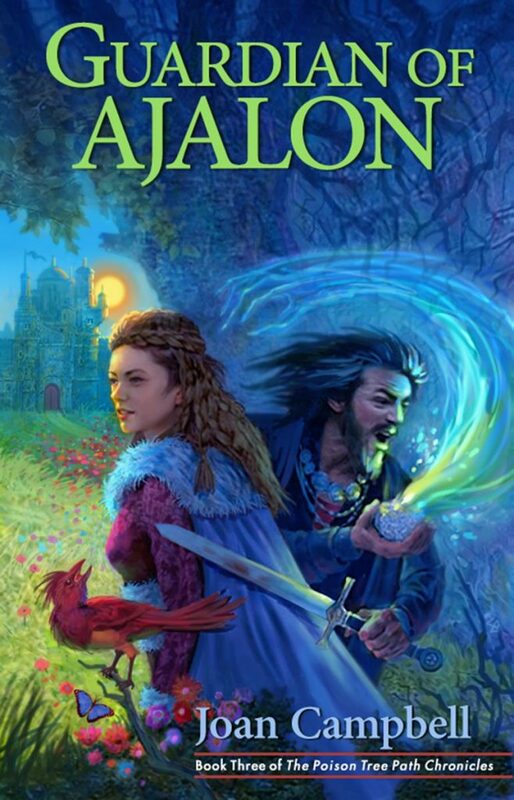 Guardian of Ajalon is the final book in the Poison Tree Path Chronicles trilogy. In Chains of Gwyndorr (book 1) Shara discovers two objects—a powerful rock that gives dreams of the past and future and an ancient book written in a forbidden script. The consequences of Shara’s choice to use the magical rock unfold in Heirs of Tirragyl (book 2) whereas in Guardian of Ajalon (book 3) she is vividly drawn into the ancient book’s story. Here she discovers her true identity and the love she has longed for her whole life. I love writing fantasy because it allows me the freedom to explore my Christian faith in imaginative ways. Also, I don’t have to do too much research because I create the world my characters inhabit. When I’m not writing I feel miserable. Writing allows me to escape my somewhat predictable life and to process my thoughts, impressions and emotions. Once I’ve started writing a story, I carry on with it because I need to know what happens next. I know that sound’s crazy but my characters have a way of taking over and derailing my plot lines. In the morning I spend time with God because when I’m not in a good place spiritually and emotionally, I struggle to write. I usually only start writing at about 4 pm and then I’ll write about 750 words. I’m not a particularly fast writer but with consistency the word count adds up. Looking for a publisher is an emotional rollercoaster ride and it’s difficult to keep believing in yourself and your work when the rejections slips roll in. I love it when someone tells me one of my books touched them. 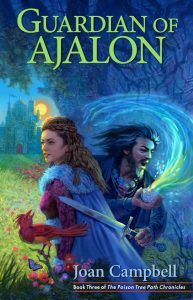 Just today I received an email from an early reviewer of Guardian of Ajalon and she wrote, “Success and words fail me to tell you how much I loved it! How you wove His story into the story so made me think of the Chronicles of Narnia!” When you read something like that you are walking on air for a few days. Hearing that Chains of Gwyndorr won the 2017 Illumination Award was a great moment. I love travelling and exploring, particularly in South Africa which is a beautiful and varied country. I never grow tired of our wildlife, coastline, rugged mountains and our warm and welcoming people. I have a book of short stories, reflections, prayers and art called Encounters: Life Changing Moments with Jesus. The short stories are written from the perspective of individuals who encountered Jesus in the gospels. Another fantasy trilogy. The first book is called The Crown Vendetta and I’ve just completed the first draft.